The Three Peaks (Ben Nevis, Scafell Pike and Snowdon) are the highest mountains in Scotland, England and Wales. The challenge is to climb each of these three peaks - one after the other! This trip is best run between May and October, outside of these dates we consider it winter conditions. However, if thats what you're looking for let us know. Pick-up and drop-off options along the route to provide you with several different options - just choose the most convenient for you. See our transport explained section for further details. Expert driving team with lots of 3 Peaks experience. Please note that for safety reasons we adhere to all road traffic safety regulations. Set open dates for individuals or small groups to join or bespoke events for group sizes of 8 or more - just ask if the date you want is not listed. Many years experience in providing this challenge. We aim to complete the challenge within 24 hours; some groups will take less time, others more - the fitter your entire group is, the more likely you will be able to fulfill the challenge! You need to be pretty fit. The Three Peaks Challenge is an attempt to climb the highest peaks in Scotland, England and Wales in 'one go'. These peaks are Ben Nevis in Scotland, Scafell Pike in England, and Snowdon in Wales. Other bespoke options are available, including doing the challenge from south to north, to discuss alternatives or any ideas you may have feel free to call our friendly team. We travel to Fort William on the Friday, starting with Ben Nevis on the Saturday morning, climb Scafell Pike that night and finish Snowdon on Sunday in Wales. This is a tough event and people participating should have the necessary fitness and be prepared to do without sleep! 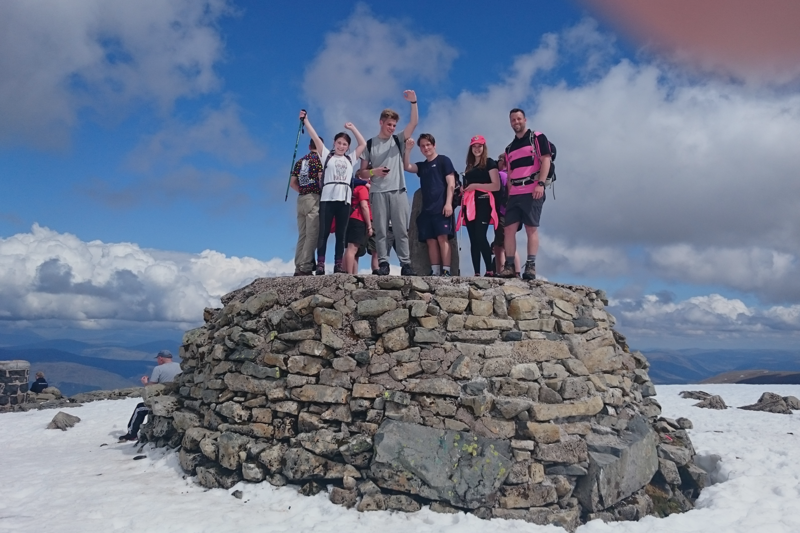 If your aim is to complete the event in 24 hours then we will need to complete Ben Nevis in 5.5 hours, Scafell Pike in 4.5 hours and Snowdon in 4 hours. The standard for measuring your official total time on the event is mountain time plus a fixed 10 hour drive time. The challenge is supported by qualified mountain leaders and a driver will be with you all of the way. We'll do everything we can to get you through the challenge as quickly as possible. We have many years experience in delivering this challenge. Over the years thousands of people have completed the event with us - we'd be delighted to help you with yours! If you want to do this challenge but think that you might benefit from sleep in between each peak, then we do offer this event over more relaxed timescales. 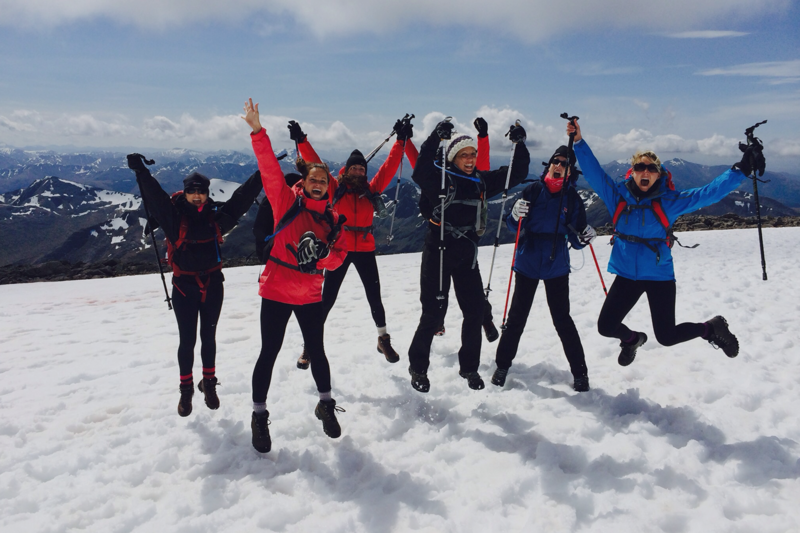 For further details see our 3 Day 3 Peaks and 5 Day 3 Peaks Trip options. Manchester Piccadilly Station (approx. 10am). Glasgow International airport (not Prestwick, approx. 4pm). Anywhere on the A55 and M56 between Snowdonia and Manchester. Alternative pick up and drop off points can be discussed upon request. Pick-up times are the day before the event and drop off is during the afternoon of the event finish. 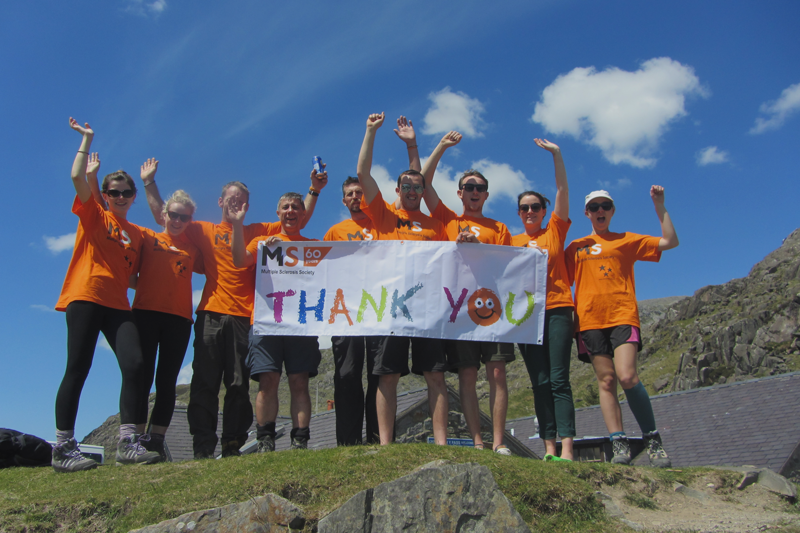 We aim to finish in Snowdon by mid afternoon on the last day of each event and therefore your drop off should be no later than 6pm on the Sunday evening. However, there are no guarantees as it depends on the speed of your group. If you are making your own way to Fort William for the start of your challenge you should arrive the Friday afternoon/evening in time for the evening briefing and to be ready for the start of the challenge the next day. Single Room Supplement £45.00 per person. We are an established adventure travel business. We have been trading for since 2002. We are financially protected in accordance with the 1992 travel regulation. Knowledgeable and available office staff. Over the years concerns have been raised about the impact the 3 Peaks Challenge has on the environment and the local residents surrounding these peaks. The main concerns raised is an increase in traffic and noise in rural areas at unsociable hours, litter, erosion of the peaks through people taking short cuts and in particular the lack of water and toilet facilities at Wasdale Head. At Maximum Adventure our ethos is to always respect the areas we work in. The company was set up by people who enjoy the mountains and respect the impact people climbing them have on the environment and local residents. When running our 3 Peak Challenges we adhere to the fundraising guidelines which were produced by the Institute of Fundraisers in line with the various authorities for the 3 Peaks. We mainly run small groups of between 10-12 people with experienced drivers and mountain leaders with them ensuring best behaviour on the mountain and not impacting on rescue services. In fact, on several occasions, our mountain leaders have acted as ‘rescuers' by leading lost groups we found on the hill off the mountain! We always stick to the official paths on the mountains so as not to cause any environmental damage to the mountains, and we contribute to the maintenance of these paths. We make donations to the Highland council for the upkeep of the paths throughout the year. 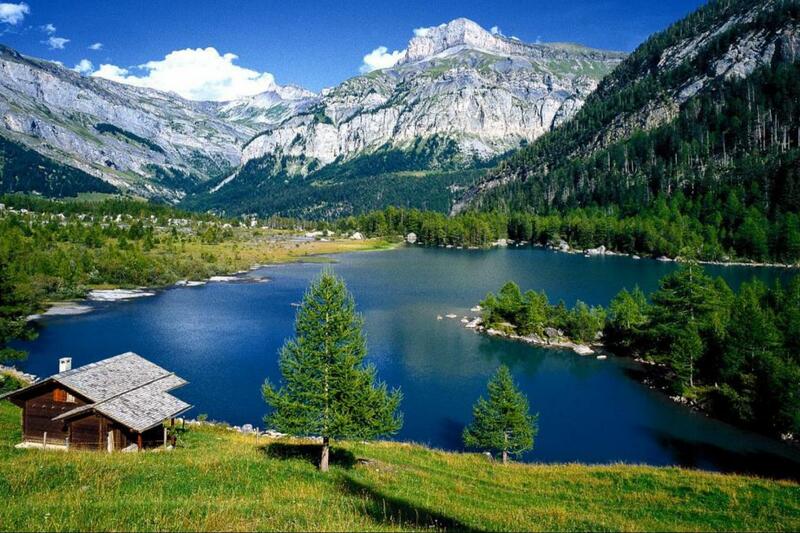 In the cases where we operate larger groups we seek prior approval from the various mountain authorities. We have worked closely with these authorities over the years and have a very good working relationship with them. We also manage groups access to the peaks to reduce the amount of people coming into and out of an area at any one time. We aim to climb Scafell Pike before the midnight cut off time, thereby reducing the impact our arrival and departure has on local residents. We always have our own water supplies so we do not use local supplies and do all that we can to ensure our clients have access to appropriate toilet facilities outside of the area. Our drivers remain with the minibuses and ensure there is no excessive noise or illegal parking. We take the safety of our participants very seriously, and stick to driving regulations with separate non-walking drivers, making sure sufficient breaks are taken. We believe we are one of the most responsible operators on the hill and continually endeavour to improve our services whilst protecting the beautiful environment we operate in and ask that all of our clients respect our working code when travelling with us. Day 1 - Friday: Meet at designated pick up points and transfer to Fort William. Check in to your accommodation, evening briefing, route planning and equipment check with your guide. Time to unwind. Day 2 - Saturday: Early breakfast then depart for Ben Nevis at approximately 7am. Ben Nevis should be a round trip of around 5.5 hours. Afternoon transfer to the Lake District and evening ascent of Scafell Pike, which should be a 4.5 hour round trip. Day 3 -Sunday: Night time transfer to Snowdon and early morning ascent. This is a round trip of approximately 4 hours. Drop offs at designated points en route to Manchester. Please note: This itinerary is a guide only. It can be subject to change dependent upon viability, course members' fitness and weather conditions. Maximum Adventure work with lots of charities to offer our events as fundraising opportunities. You can find our Charity Events from the 'Menu' in the corner of your screen or from our homepage. Many charities will offer this challenge under a "minimum sponsorship pledge" fundraising model, whereby participants pay a registration fee to join the event and then complete an obligatory amount of fundraising. 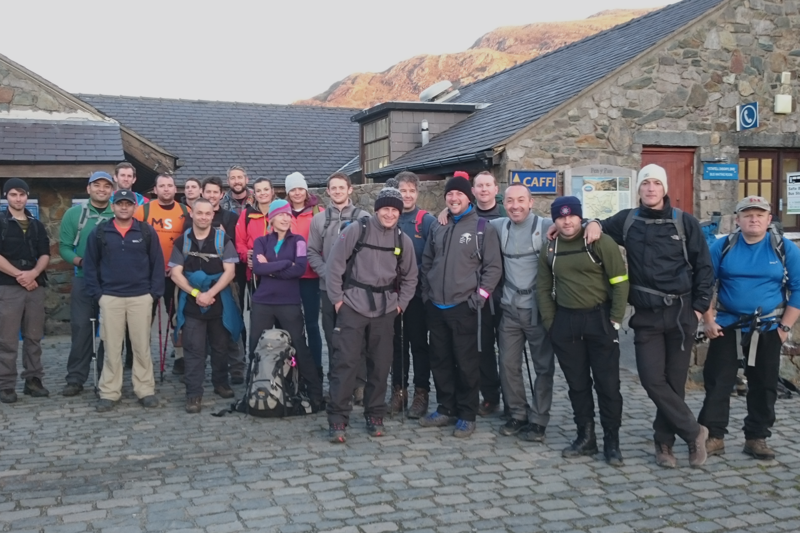 You can join any of our open 3 Peaks Challenges as a charity supporter, just select the date of your choice and enter the name of your chosen charity in the group/charity section of our booking form. For more details of how fundraising works please contact us on 01768 371289. Be aware not all charities offer this style of funding. Drop offs between Snowdon and Manchester after the challenge has finished. Group first aid kit with qualified first aider. We run the 3 peaks challenge as an open or bespoke event. Our open events run every Friday to Sunday from May to the end of October. For bookings of 8 people or more, we also run this as an exclusive event on the dates of your choosing. To book any number of participants on to an event, simply select the date in the calendar and follow the booking procedure. You will then receive an automated confirmation and full details will follow from our office in due course. Open events run every Friday from May through to October. Refer to the calendar to see the full season's departure dates.